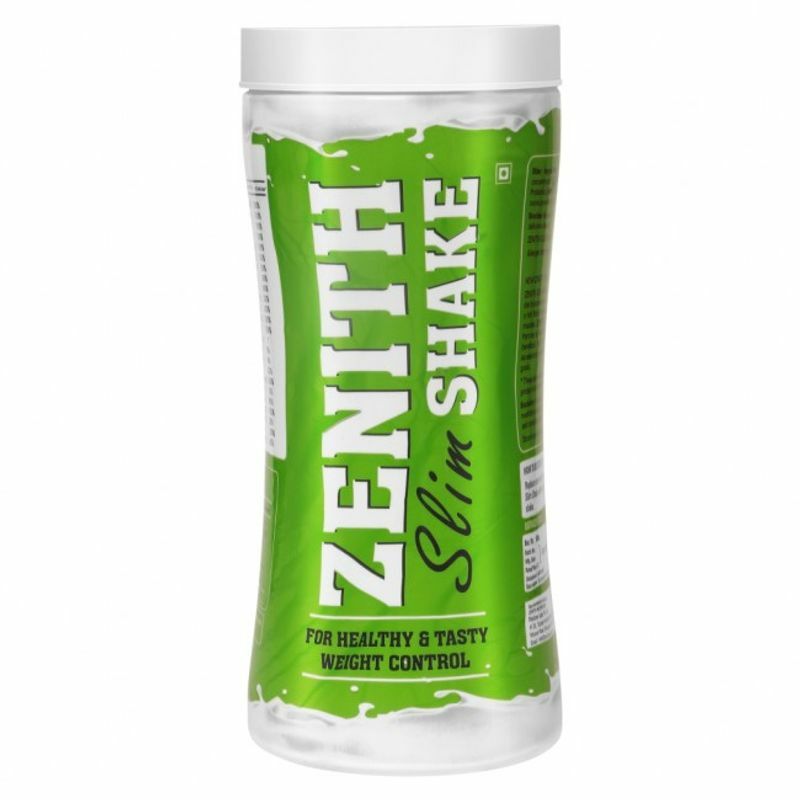 Zenith Nutrition Slim Shake is a rich blend of Whey protein and Soy protein with essential Amino acid to build lean muscles. It has a rich blend of fibres both soluble and insoluble derived from Soy and Fructo-oligo saccharides (FOS), helps in digestive health. Probiotics also are beneficial for GI immunity. Herbal blend of Green tea, Garcinia & Acai, helps in accelerating metabolism and loss of appetite, further taking towards weight management goals. 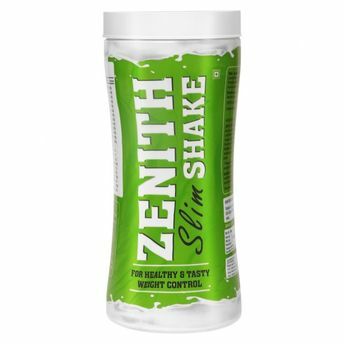 It can be taken, one-two servings a day along with health controlled diet & exercise regime, will help to achieve, a well toned lean body.